In the studio we are always on the hunt for creative listing sites, directories and clever blogs. Of course they help with staying ahead of the ever demanding SEO battle, however these are about more to us. They give us the chance to shout about our work, have a peak at what other designers and agencies are doing, read up about what is trending and pick up hints and tips along the way. We don’t sign up to all them, only the ones we feel aren’t trying to simply gather our data, to only spam it out to third parties or gain backlinks. We tend to chose the ones that are genuinely interested in creative and digital work; Want to share it and promote material that is worth circulating. These guys are super quick to respond to any updates and are always keen to hear about your website designs and builds. They are also on the pulse when it comes to Twitter, hence always promoting work they feel is worthy. Been one of our favourites for years. The owner Cathy has evolved the site throughout the years and recently went “back to basics” focusing on content that is relevant to our industry, introducing features that invite creatives to meet each other as well as posting work via her freelance jobs board. 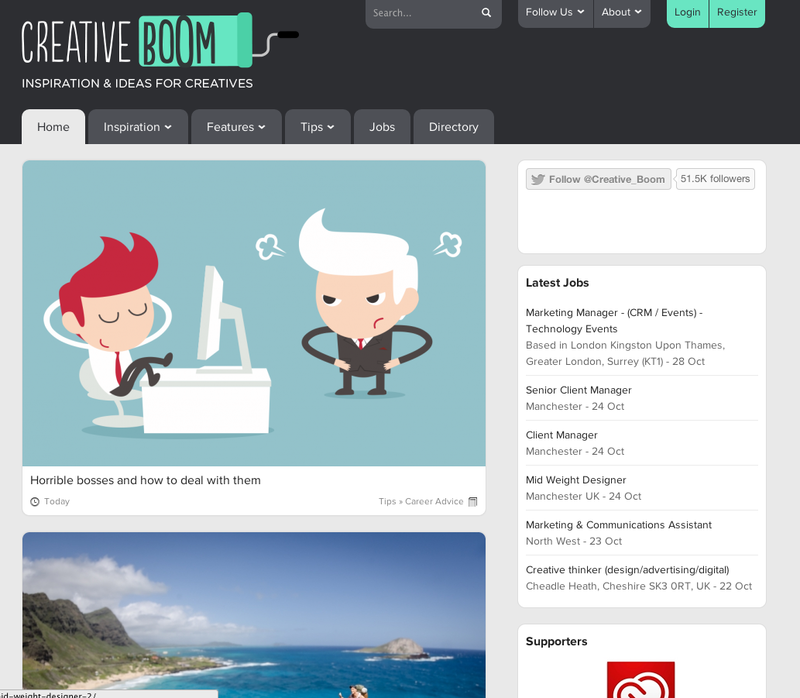 Creative Boom has been widely recognised and we understand why. Something we literally stumbled across earlier this year & funnily enough it only started in March 2013. The layout is easy on the eye and gives you links to your work. In their words Our mission is to discover, recognize and promote the talent and effort of web designers, developers and agencies who create unique digital experiences that are useful, innovative, intuitive and beautiful. CSS Legend covers several categories including; Agency, architecture, photography, marketing & travel & tourism. This one is the “nichest” out of all of them, however as WordPress is our preferred CMS platform we occasionally drop by to look at other WordPress websites and if there are clever ways to use this forever versatile & ever growing platform. Please feel free to let us know if you know of any others or better ones. After all sharing is caring.